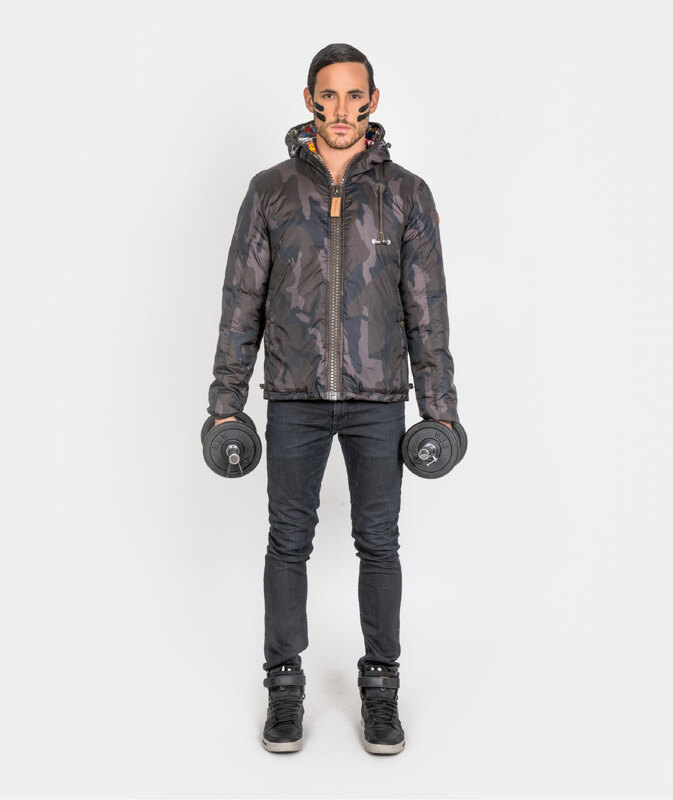 80DB ORIGINAL™ is a French brand dedicated to a unique product : the intelligent jacket. This new concept has been given birth in February 2014 by an innovative French company,100% family owned and established since 2000. The idea was to develop a unique, mixed, colorful, innovative and qualitative product, with a strong identity. 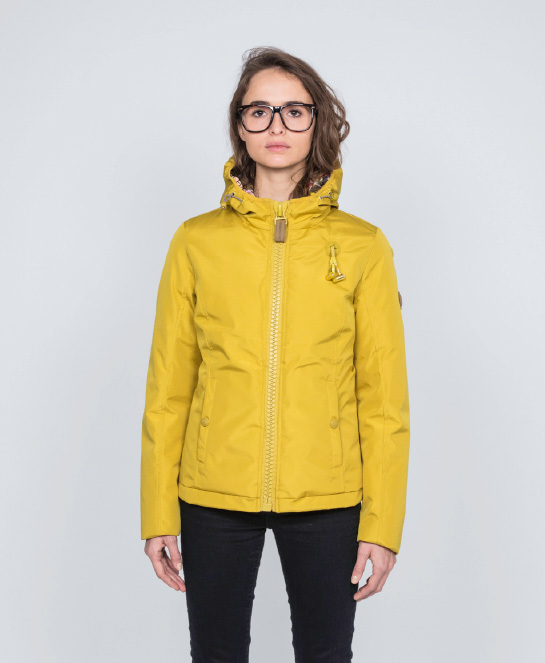 Graphists, designers, sound engineers and stylists have worked together to develop the brand and this «hybrid» jacket, at the crossroad of a winbreaker and a down jacket. For winter season, 80DB ORIGINAL™ is primarily a quality jacket addressing the toughest winter assaults: waterproof, insulation and comfort are the foundation of the concept. It’s also a real musical experience, available in over 15 colors. Oustide, 80DB ORIGINAL™ is sober, monochrome; inside the polyester lining is printed with «pop art» theme, illustrating the key elements of the concept. The 80DB™ is delivered with stereo earphones, zipped, enabling any smartphone or MP3 players to be connected to listen your favorite music or even make a call with its handsfree function. 80DB ORIGINAL™ : the adventure is just beginning.... stay connected ! Available in over 15 colors. 100% Polyester «pop art» printed lining, illustrating the key elements of the concept. STOPTOCOLD®, built with synthetic fill fibers and based on a high polyester insulation with a soft & down-like feel. It provides an excellent warmth-to-weight ratio, even when wet fibers. 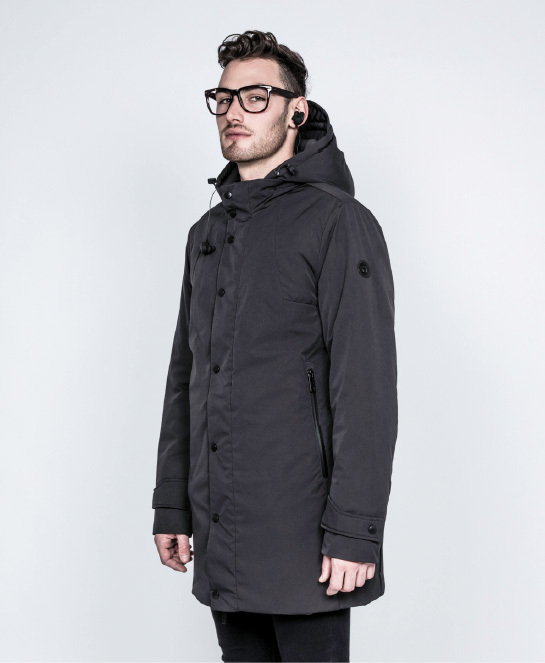 Also very thermally efficient, light weight, water-resistant (rain, snow etc...), fast dry and machine washable. Oversized zipper + 80DB™ debossed Leather pull. «French touch» blue/white/red stoppers string. Embossed/debossed leather sleeve badge with soft foam. This -good quality- earphone can be connected into all kind of smartphones, MP3 players. It is removable to facilitate jacket cleaning. Supplied with 3 ears connectors sizes : S, M, L.
Inside zipped phone pocket : keep your smartphone safe and dry. This pocket is linked with outside pocket using a common hole, enabling to use your phone inside or outside. Each 80DB™ is packed into a personnalized box, designed as a labtop box. We protect you from fakes ! To make sure than you can easily verify the authenticity of 80DB ORIGINAL™ items, we have adopted CERTILOGO®, the world’s leading brand authentication system. Please make sure that each 80DB ORIGINAL™ items you purchase carries the 12-DIGIT CERTILOGO® code – or CLG code – on the label or on the back hang-tag. Find the CERTILOGO® code, enter it into the CERTILOGO® Authenticator program on www.certilogo.com. To make sure it is an authentic CERTILOGO® code, you will need to answer to a few basic questions. Fake or Authentic : Now you know. Thank you for choosing 80DB ORIGINAL™. After the success of the "White Edition" range, more sporty, more colorful, 80DB ORIGINAL ™ launches from the season AH2018 a new line called "Black Edition", more sober, more minimalist, more premium and 100% connected.